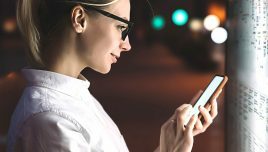 In this article, I touch upon key facets of mobile learning and how can you use it to impact your employee engagement and performance. I also share 10 examples that showcase how you can achieve this mandate. Mobile learning is acknowledged as a key training delivery format by organizations across the world. It is used extensively as a modern training approach that is learner centric and facilitates an ongoing consumption of smaller bytes of learning instead of one large chunk. Let us see how mobile learning can be used to drive higher employee engagement and performance. As the learning bytes are delivered in interesting and engaging formats and made available to learners within their workflow, they work more effectively in helping them learn, recall, and retain. Apply the learning on the job. Over a period of time, this leads to the required application at work (and the anticipated behavioral change). All these factors are driving the usage of mobile learning to engage learners and boost their performance. What Is Mobile Learning And Why Is It Gaining Momentum? Mobile learning is the next-gen eLearning that can be offered across multiple devices (desktops, laptops, tablets, smartphones, and so on). It is an “anytime, anywhere” learning that they can assimilate at their own pace and on devices of their choice. Mobile learning can be used to offer formal training as well as Performance Support or PSTs (just-in-time learning aids that are part of the learners’ workflow and are readily available to them precisely at the moment of their need). It can also be used to supplement traditional Instructor Led Training (ILT). Worldwide, the Millennials are a significant part of the workforce. They need access to training that works on the device of their choice (read smartphone). How learners want to learn. Learners today do not have the time to log in to a Learning Management System and browse through to identify what they need. With a lot of pressure on time, they want precise bytes of learning that they can use to solve a problem or practice. It goes without saying; this needs to be available in their workflow (read smartphone again). Learners want this control to be with them. Depending on the nature of training, whether formal or informal, lengthy or micro nuggets, they want to exercise the right to choose the device they should learn on. Maturing of tools and technology. 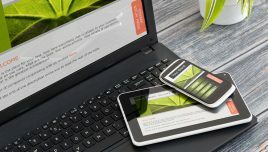 Today, mobile learning solutions can opt from a wide ranging array of authoring tools and LMS platforms and offer both adaptive (desktops, laptops, and tablets) and responsive designs (desktops, laptops, tablets, and smartphones). 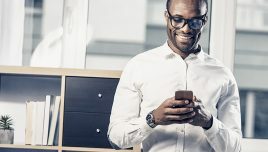 Why Does It Make Sense To Adopt Mobile Learning To Increase Employee Engagement And Eventually Impact Their Performance? The success of a training program hinges on several factors as shown here. These aspects influence learners’ engagement and the eventual performance gain. It begins with the crucial first connect with learners (their reaction to the online course). This has a direct bearing on how the learners respond and on the desired completion rates. Mobile learning scores a high 5 here. Effectiveness of learning or stickiness of learning. Usage of immersive learning strategies increases the stickiness of learning. Similarly, usage of strategies that truly engage the learner, facilitate recall, and push them to think and apply is vital to succeed in this endeavor. Mobile learning offers a great value here as it supports rich media formats and trending learning strategies like microlearning, gamification, story-based learning, complex decision making using scenario-based learning, and so on. Application of learning (leading to the desired behavioral change and a positive impact on business). As I mentioned earlier, learners will not go through an LMS to seek an answer to address a problem on the job. Instead, they need this byte to be available to them when they need it. Similarly, when they need to practice a new concept or a new skill, they want the flexibility to learn on the device they access the most. Usage of mobile learning in a microlearning format that can be used for both formal training or as Performance Support is very useful in meeting this mandate. From these insights, you will note that you can positively impact each of these facets by adopting mobile learning. With this approach, you will see a more engaged learner. Is Mobile Learning Or mLearning For Millennials Alone? It is a misconception that mobile learning appeals only to the millennial workforce. Irrespective of age, all of us spend so much of time on our smartphones and tablets that it makes tremendous sense to extend the learning on these devices. The flexibility to use the device to learn on, the ease of learning on the go, and the usage of rich media and high impact strategies attract learners of all profiles to mobile learning adoption. As a result, you will see higher completion rates across various learner profiles and not limited to Millennials. When mobile learning is used for Performance Support (just-in-time learning aids that are available to the learners within their workflow and precisely at the moment of their need), you can see increased application of learning on the job. As I have already highlighted, this is a crucial aspect in getting the desired impact that the business seeks. Eventually, the combination of completion of training on time, higher retention and successful application has a positive impact on the ROI. What Learning Strategies Adapt Well To Mobile Learning Or mLearning? Story or scenario-based learning (the impact is even higher when we use videos and interactive videos). Learning path-based approach to encourage “learning as a continuum”. Personalization to make the learning experience more meaningful to the learner. Content Curation to support formal training as well as to ensure that learners contribute to enrich the knowledge base. Given the wide ranging corporate training needs, can mobile learning or mLearning be used to offer all of them? 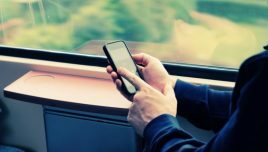 A report drafted by SailPoint in 2013 suggests that by the year 2018, approximately 70% of the mobile workforce worldwide will manage their business-related tasks on their preferred mobile devices. Induction and onboarding (now this often includes pre-onboarding). Significant corporate initiatives: Ranging from Quality and Innovation to supporting Change Management initiatives. At EI Design, our mobile learning practice began in 2011. Over the last six years, we have created over 1000 hours of mobile learning solutions for both formal training as well as Performance Support, including all the trainings highlighted above. While the initial adoption of mobile learning was limited to access till tablets (adaptive designs), over the last two years, most of our solutions support smartphones (responsive designs). I have shortlisted the following 10 examples to show the impact of mobile learning that would map to your varied corporate training needs. These examples reflect the usage of mobile learning for formal training as well as Performance Support. Our award winning Interactive Parallax design nugget. Click here to view and download the interactive PDF containing the 10 examples. I hope this article provides the required pointers that enable you to adopt mobile learning (if you are new to this) or scale its usage. The supporting 10 examples show you how you can achieve your mandate. Check out our award-winning solutions and approaches to enhance the impact of your corporate training by booking a free demo/consultation, or you can write to me directly at apandey@eidesign.net.